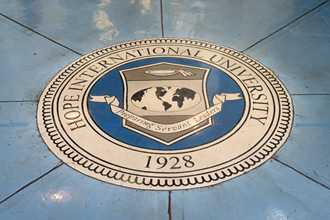 The Registrar's Office of Hope International University serves students, faculty, staff, administration and alumni by maintaining records and providing information regarding academic, registration, statistical and personal data. Services provided include housing and processing petitions and forms, transcript requests, and enrollment verifications. The Registrar’s Office is located on the third floor of the Center Core in the Nutwood Complex, above the Library. Upon request, the Registrar's Office can provide verification that a student is enrolled at the University as a part-time/full-time student.